Copyright: © 2010 by Robert E. Leuschke, Andrey V. Markelov. All rights reserved. Good Vibes Pro is a free Latin and Cyrillic calligpraphic font, created by Robert E. Leuschke. Cyrillic design by Andrey V. Markelov. License notes: Although there is no license statement in the font file, Good Vibes Pro is obviously a fork of Great Vibes which is published under SIL Open Font License 1.1 on Google Fonts site. In this way, as the legal successor of the Great Vibes, it should be published under SIL Open Font License 1.1 too. Rob Leuschke was born in and lives in St. Charles, MO. 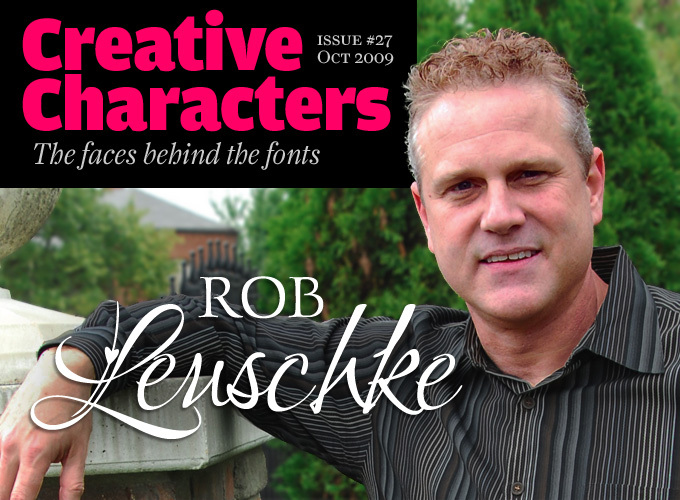 A former lettering artist at Hallmark Cards (1983-1987), Rob Leuschke had his own design businesses, Alphabytes, and set up TypeSETit in 2004. He earned a BFA in graphic design at the University of Missouri at Columbia, and started freelancing in 1987. Rob has created over 250 custom typefaces. In addition, he made tens of calligraphic and other script typefaces. Ambiance BT is Rob’s first typeface. Also, early on, he created the free emoticon font AairChat (1995).